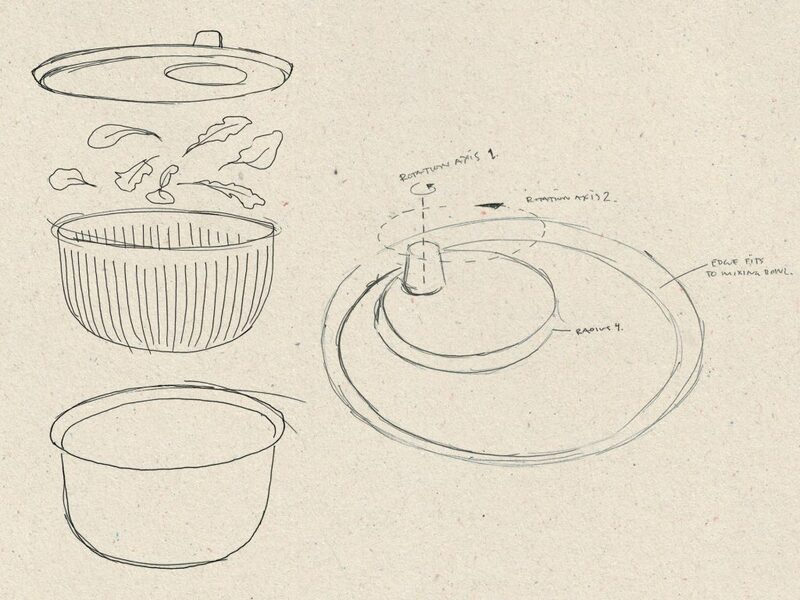 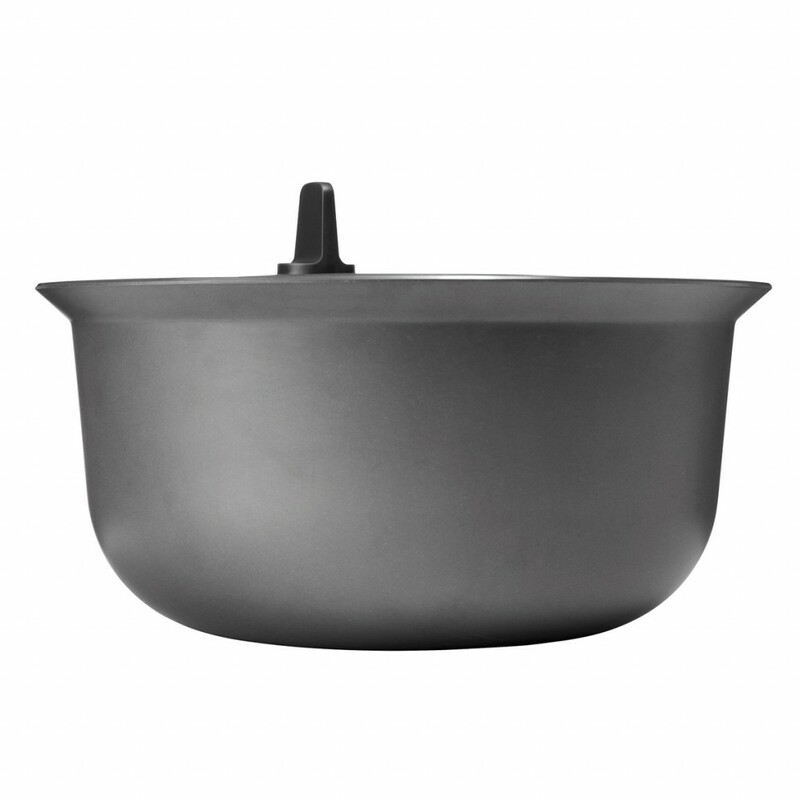 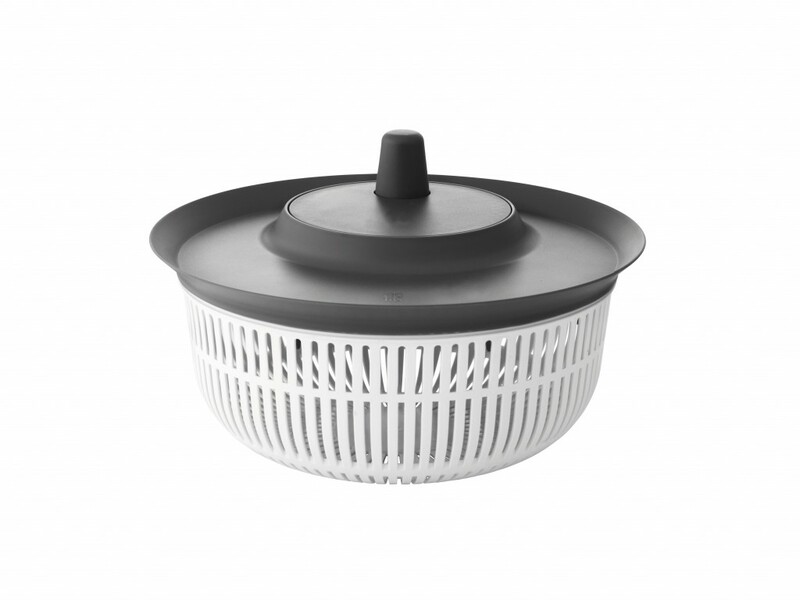 Salad spinner that fits neatly in the largest mixing bowl of 3.5 litre from the same manufacturer RigTig. 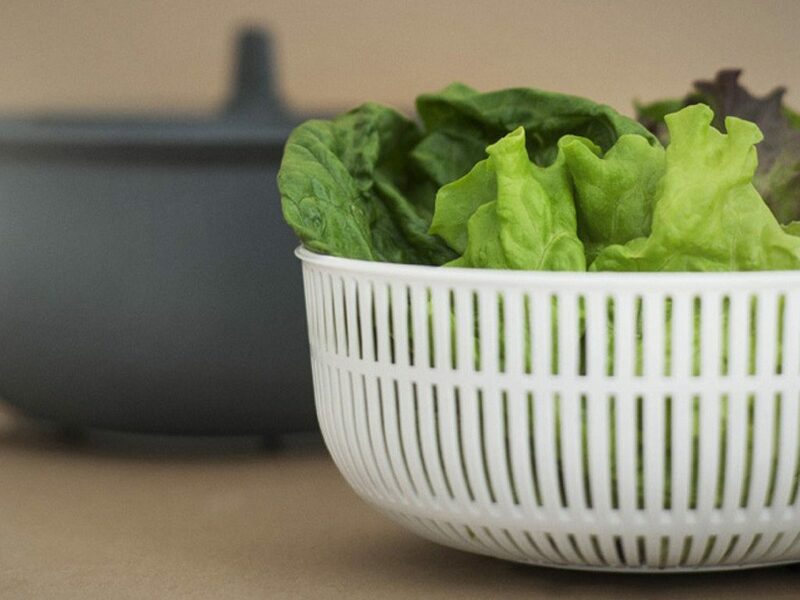 For draining, spinning and drying the lettuce, makes it clean, dry and crisp. 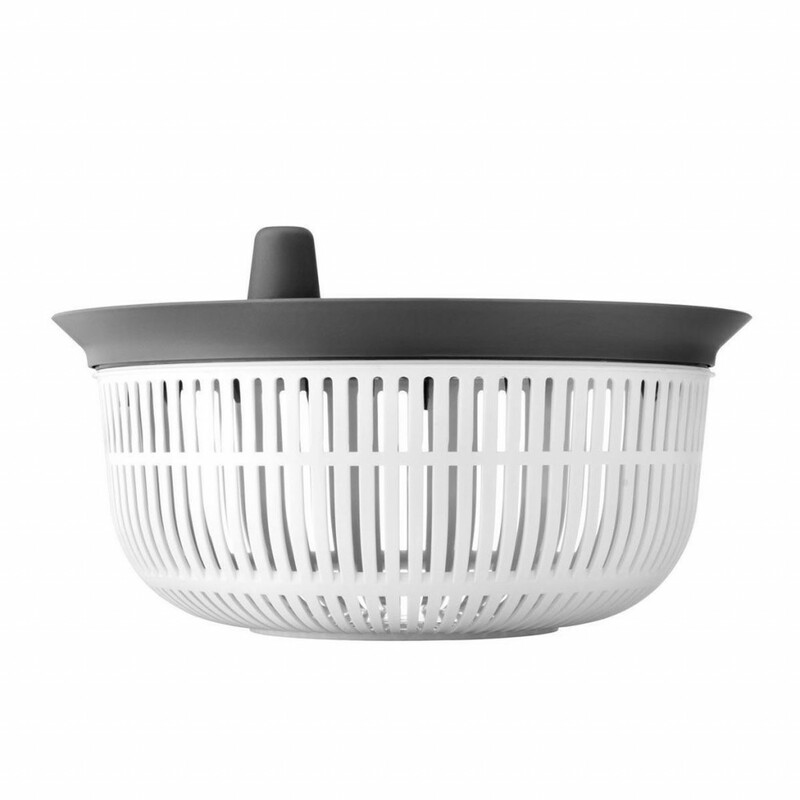 It is easy to disassembly for cleaning and is dishwasher proof. 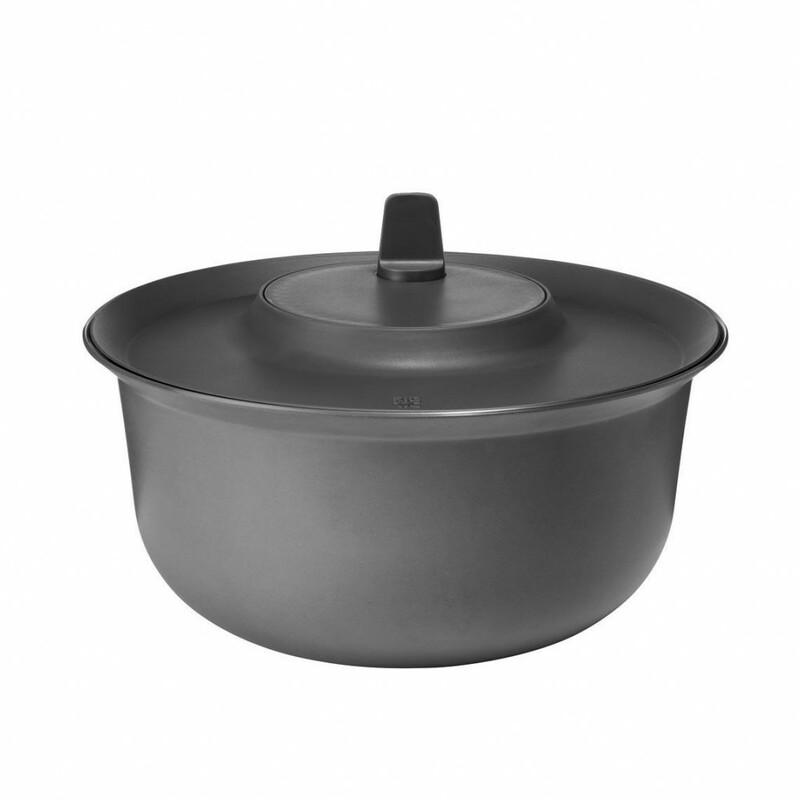 The spinner has a matt finish, matching the mixing bowl, in where it easily can be stored away when not in use.